Catholics have an interesting relationship with money. It’s a love hate – with a little guilt sprinkled on top. I get it. Holy poverty is extolled. After all, how beautiful it is for those who join religious orders to leave their families, careers and possessions and don habits. It is the ultimate sacrifice, aside from giving up your life. “Following the teachings and examples of Saint Francis, her teacher, Saint Clare desired that her convents not have any riches or rental payments of any type. Even though she would be offered gifts of goods to assure the future of her religious, she did not want to accept them. To the Holy Father who offered her some rental payments for her convents she wrote, “Holy Father: I beg of thee to absolve me and free me from all my sins, but do not absolve me nor free me from the obligation that I have of being poor as Jesus Christ was.” To those who would tell her to think about the future, she would respond with the words of Jesus, “My Heavenly Father who nourishes the birds of the fields will know how to nourish us also.” www.piercedhearts.org. Is it any wonder that some Catholics believe they too should emulate the poverty of the religious? However, most of us do not live in religious communities, so how are we to view poverty and what relationship should we have with money? 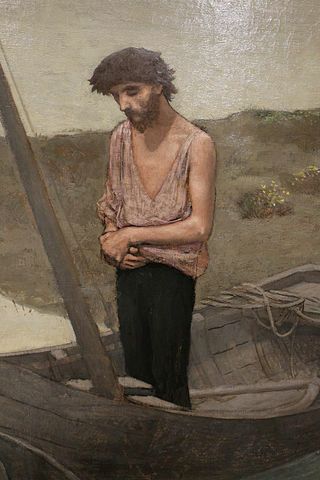 Are We Called to Be Destitute? To be destitute is to not to be able to financially provide for your most basic needs. Some are destitute due to a number of reasons, but is destitution something we should strive for? “…most people do not know what Gospel poverty means. For example, it does not mean we promote destitution. On the contrary, the Lord in the radical things he says is trying to rub out destitution — which is why we are to share with the needy.” Source. We should always aim for spiritual poverty. If you have money, do not become attached to it. Use it for God’s glory and live simply. It doesn’t mean you can’t enjoy the nice things in life, like vacations, a nice home or a nice car. Simply keep things in perspective and give lots of your money away, prayerfully and to worthy causes. But if you insist on being poor, Read this book. It will make you want to get rid of your life savings. Just joking – but it really is a great book that clarifies the distinction between spiritual poverty and material poverty — although, I still wanted to get rid of all my “stuff” after reading it. If you do read it, please come back and comment here. 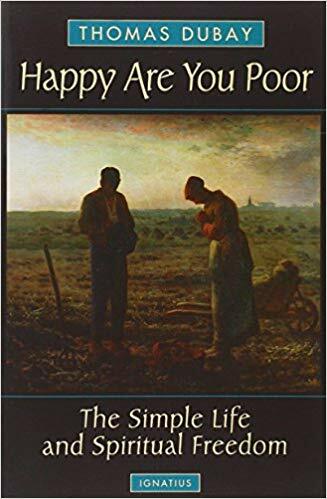 Check out Happy Are You Poor, by Fr Thomas Dubay. Are Catholic Preppers (Survivalists) Paranoid or Prudent? I plan to reread the pertinent parts of the book that discuss the balance of possessing enough to sustain one’s family while generously giving to those who have less. This is a real challenge in our society, which has so many subtle ways of attaching us to our money, jobs, vanity, and possessions, and always wanting more & better. Never satisfied; always seeking to fill the God-shaped void with new technology & brand name goods & likes on IG. No, happy are the poor, who live simply and give as much as they reasonably can. It certainly is a balancing act that requires much prayer and sometimes, fasting. Thanks for your comment!